I disliked both films but Solo wins this. 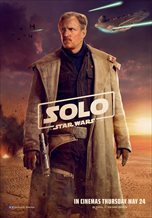 Solo is a lot of things but it isn't distasteful nonsense. Blockers is just unpleasant.